In the midst of the holiday season, food is heavy topic. Between cookie exchanges, holiday parties and family dinners, many people find themselves eating more. Over 35% of Americans report family celebrations and feasts are a source of weight gain. On average, between Thanksgiving and New Years, Americans will gain anywhere from five to ten pounds (that’s one dress size!). Typically, people consume 32% more during holiday dinners and even more if holidays fall on the weekend. For this season, limiting overall consumption of unhealthy or unnecessary foods will be key. Surrounded by increased choices of food and desserts, it can be challenging and difficult to say no. 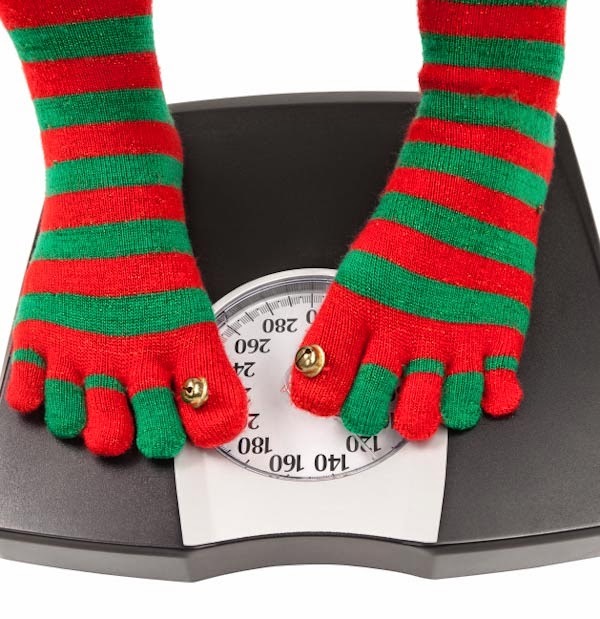 In an effort to keep those holiday pounds off and maintain healthy lifestyles, here are several suggestions to consider. Planning ahead will be a simple and effective tool for you. Know what types of food will be available and what you can eat. If several of your favorite dishes will be offered, choose beforehand which one you want over the others. 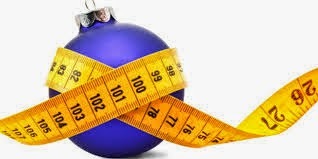 Self-monitoring is an effective tool to maintain your current weight and reduce the likelihood of holiday weight gain. Self-monitoring uses personal observation and recording your target behaviors. However, you will have to be honest about what you are eating and how much. Using self-monitoring and documenting your foods can help you identify specific food groups that are challenging to refrain from eating to as well as patterns when you are likely to eat more. Even with reviewing your food choices, you still need to eat; so don’t deprive yourself altogether. Consider having a bite or two instead of the whole piece. If you get to cook this year, use new recipes that are low in calories. Even if you have to bring food places, at least you know there will be a healthy alternative and you can still enjoy meals with others. If you are headed to a holiday dinner or party, you may consider eating a healthy snack beforehand. Curbing your appetite can reduce overeating and unnecessary calorie consumption. Another suggestion is not to skip regular meals. Maintaining consistent blood sugar levels by eating regular meals can reduce weight gain. If you plan to starve yourself and gorge out on holiday dinners, that is not an effective plan. During meals and festivities, remember to drink water. There will be several opportunities for you to consume empty calories through liquids. Having a water bottle on hand can help curb your appetite and decrease hunger. Finally, make sure you are getting rest (7 to 8 hours of sleep) and exercise. Research has shown that limited sleep increases hunger up to 18% in adults. You need to get your rest. Increasing your exercise time by 10 to 15 minutes also can help shed those extra holiday calories. Gaining weight by consuming sugary drinks and desserts is not difficult to do this time of year. Challenging yourself to refrain from holiday cookie platters and unhealthy eating patterns is much harder. So remember, before you fill your plate, consider food options and choices in front of you. There’s no reason you cannot start the New Years off right before the end of the 2014.